Stories can inspire students' imagination. 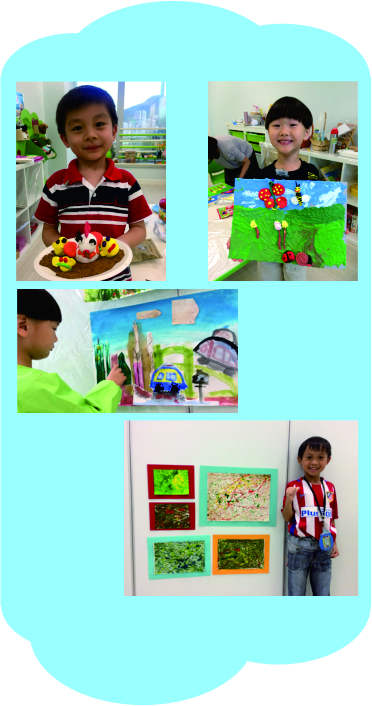 Art creation is a healthy and effective way to help young children express themselves. While listening to interesting stories, children are provided with space to imagine. At the same time they feel free to express their emotions, likes and dislikes via different types of artistic creation. They can also explore their own interests and personal styles, and establish confidence to make choices.